HEREFORD’S sold to average £5,062 at the second Designer Genes sale, Shrewsbury, making it the highest averaging Hereford sale in UK history. 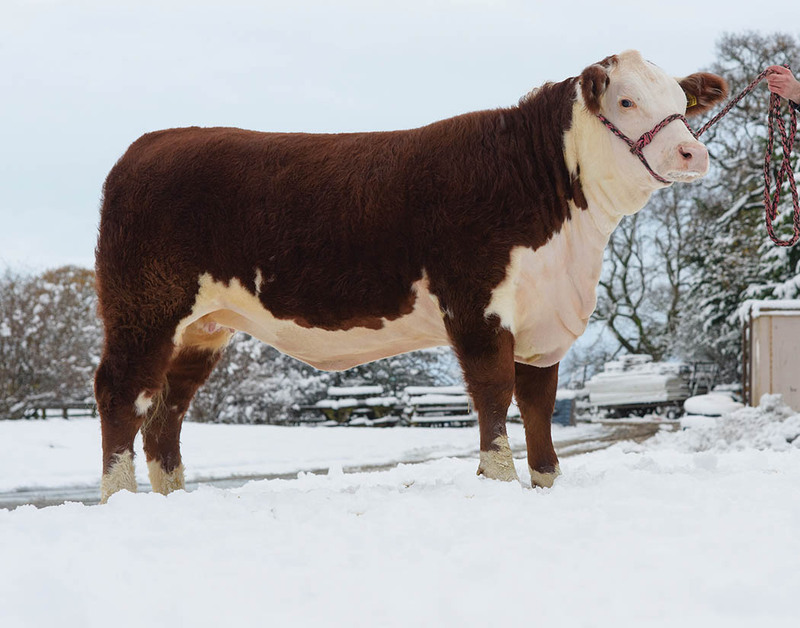 The sale also set a new record for the highest priced Hereford female to sell at a UK auction, when Sky High 1 Lâncome Lucy from B. Birch and G. Brindley, Weston, soared to 11,000gns. Supreme champion at the national Hereford calf show, the 16-month-old is the first daughter of Dendor 1 Murdock to be offered at auction. It sold to partners Gouldingpoll Herefords and Intelagri, Republic of Ireland. Another 16-month-old Dendor 1 Murdock daughter, Sky High 1 Danish Dream, sold for 10,200gns to Rachel Johnson and Adam Bowen, Treharris, Mid Glamorgan. Sky High 1 Dainty Duchess, an October 2015-born heifer followed at 7,500gns. Supreme champion at Shropshire County, it sold in-calf to SMH Kingsize to S.C. Hartwright, Oxfordshire. The Moralee herd of Tom and Di Harrison, Northumberland, sold Moralee 1 Kate 2 for 6,200gns to William Awan, Bath. Sired by Romany 1 Frisky A84 F57, it was junior female champion at both the Royal Highland and the Great Yorkshire and sold in-calf to Knightrider. J.R.B. Wilson and Son’s Romany herd, Kelso, offered a ‘pick of the calves’ lot, giving the buyer the chance to choose a heifer calf born between August 2017 and March 2018. Gouldingpoll Herefords and Intelagri paid 6,000gns for the choice. 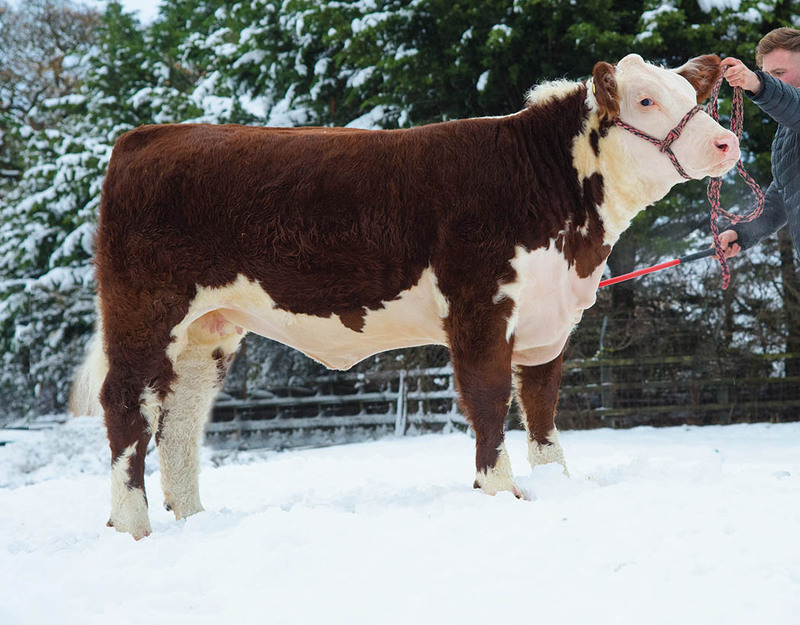 Top horned female was Pulham Blossom 20 from Philip and Laura Vincent, Norfolk, which was knocked down to S. Taylor and D. Marsh, Lancashire, for 5,200gns. Sky High 1 Danish Dream sold for 10,200gns.